"Injuries are not excuse to STOP training. It's the perfect time to IMPROVE training." The reality is that all of us, at some point in our lives, going to be "injured" - the more active we are, the type of sport or recreational activity we participate in, and the type of condition we keep ourselves in during our day-to-day lives all contribute to how we might find ourselves hurt and how long it takes to recover from it. It could be anything from a muscle spasm in the low back from changing your winter tires, to wiping out while you're skiing and twisting your knee. Regardless of the specifics, a good mental starting point is to look at the injury as an opportunity or challenge, rather than an obstacle or barrier. Is this just a bad luck injury - like missing a step and breaking an ankle? Is it one where you don't know what's caused it, like waking up with a "kink" in your neck? Or is it an ache in your knee that just seems to be getting more noticeable over time? Generally, I see three types of reactions to injuries: some people acknowledge the injury and find ways to work around it - or better yet, try to find ways to adjust their training to come out even better than before (see Rusin's comment above). Some folks ignore the injury, and try to carry on exactly as they have been - setting themselves up for an even longer recovery and possibly doing damage that they can't bounce back from. And finally, there are those who decide (unfortunately, sometimes as a result of some poor advice, and sometimes because they were just looking for an excuse) to "rest" - or in other words, do absolutely nothing and feel justified in doing so. Side note: if you're feeling your knickers getting in a twist because you think I'm speaking about you directly - don't. First of all, if I was, I would have told you before I wrote it (ask Jimmy J), and secondly, if you DO feel it's about you, maybe try to figure out why. Don't ignore them, but likewise, don't use them as an excuse to do nothing. Take them as an opportunity to learn and grow. If you're dealing with an injury currently - I wish you good luck in your recovery. One caveat I'll throw out is this: don't self-diagnose and self-treat. Find someone knowledgeable who's willing to work with you on this, and learn through them. The good coaches and therapists are always eager to help people, especially those who want to help themselves. What Exactly Does “Use Your Core” Mean? You hear it all the time – the TV trainer (aka: actor), the guy offering his two-bits at the public gym, the well-meaning but completely clueless friend trying to help you learn how to lift the couch... but it usually means that the speaker either has no idea what they’re talking about, or they’re just reciting an instruction out of habit. The problem is that it’s just such a broad statement, with the definition being dependent on the individual, the situation, the movement, and the desired outcome. This is not to say that I believe the speaker should go into deep biomechanical detail (unless you want them to) – but frankly, telling someone to “use their core” is such a generalized and non-specific instruction that it is about as useful as saying “use your body”. Now, I think it’s only fair to be honest and acknowledge that I have caught myself saying this on occasion. Early in my career, it was often because I really didn’t have a grip on what I was doing, so along with “Nice work”, “You’ve got this”, and “Keep those shoulders back” I’d add in the occasional “Use your core!” But while it can still slip out every now and then when my mouth gets ahead of my brain, I always try to follow it up with a little more actual coaching when I catch myself uttering this hated phrase. So the next time you hear your trainer/coach say to you “Use your core” – ask them to clarify what they mean. In my capacity as a fitness coach I’m often told “I don’t want to be able to run a marathon/climb Kilimanjaro/deadlift a small car... I just want to be healthy”. The problem with this can be in identifying an individual's specific definition of “healthy”. Often, the perception is embodied by a certain look or body-type; but this aesthetically-based standard may actually hide potential health issues. That said – while a blood test may come up with no discernible risks currently, this does not mean that a) there aren’t other issues that show up outside of these tests, or b) that problems are at a higher likelihood of occurring if some sort of intervention isn’t initiated. There are a few general markers that can be used to measure if an individual is, relative to the rest of the population, “healthy”. They are by no means all encompassing, and passing all of them is not a guarantee of invincibility – however, for each one that falls outside the “healthy” marker, health risks increase and resiliency may be impacted. What follows is a list of a few good starting points. Many (though not all) of them need to be measured by or through your doctor, so the upside is that if any of these things raise a red flag they will be made aware of it and will help you investigate further if they feel it’s necessary. Furthermore, keep in mind that these should be evaluated as part of an overall picture by a health professional – use each as a launching pad for further enquiry, but don’t become too fixated on a single one in isolation. For the truest measure of a resting heart rate, take it on first waking up. It should be somewhere below 65 beats per minute. Weight is a poor indicator of health, as so many elements can determine what someone weighs including how much muscle one carries on their frame (muscle is much denser than fat). A better measure, in that it adapts to various body structures within each gender, is the waist-to-hip ratio (with waist being measured at the smallest part of the waist, generally above the iliac crest and slightly higher than the navel, and hips being measured at their widest point). Men are looking for a ratio of < 0.90, women <0.80. The standard measure that is considered healthy is 120/80. However, it should be measured a few times, and at different times of day with an average being taken afterwards – it can fluctuate based on external factors and stimulus, including (but not limited to) time of day and stress. The generally agreed upon standard for cholesterol is </= 5.2 mmol/L for total cholesterol, with </= 2.6 mmol/L of Low Density Lipoprotein (LDL) in individuals free of heart disease and/or diabetes. Standard is </= 3.9 mmol/L after fasting (not eating) for 8-12hrs prior to the test. Remember, this is far from an exhaustive list, with generalized numbers intended to give you a range. Individual results and concerns should be discussed further with your doctor, since everyone will have variances and your family physician will have specific insight to better help interpret the results. Is Online Coaching the Right Option for You? There are a lot of trainers and coaches out there that are currently utilizing some form of online platform with their clients, but owing to the number doing so there are also broad definitions of what constitutes "online coaching". This variance creates a little bit of confusion and can make it difficult to decide if finding an online coach is a good choice – though in the end success will ultimately depend on the coach and the client being the right match, as well as you (the client) having the right amount of intrinsic motivation and self-discipline. 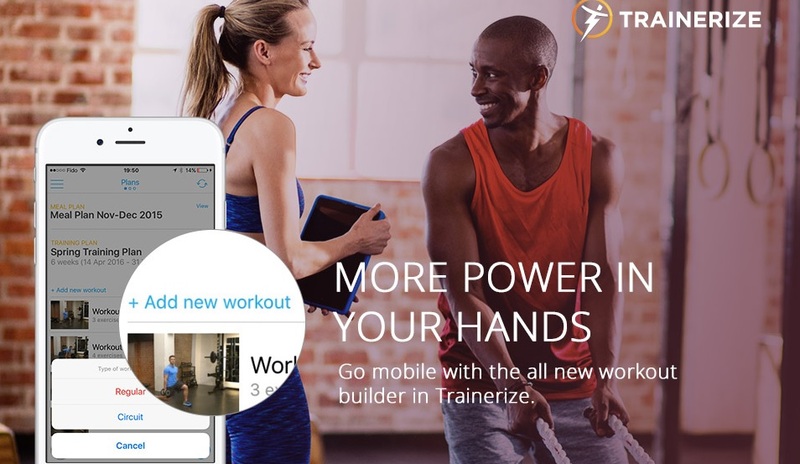 A client pays a monthly fee for access to a specific type of program and the use of the online training platform (I use “Trainerize”, but there are many others available – and though they all have pros and cons, I’ve found Trainerize to be the most complete). This type of programming is not tailored to the individual – it’s based purely off their goals. It is similar to if you came to me and told me you were running a marathon, and I told you what book at Chapters to buy; though in this case, the program has the advantage of changing every 4-6 weeks, videos of each exercise attached, and its own log to track your progress. A client pays a monthly fee for a program that is modified and tailored to them (injuries, goals, etc), and have access to up to an hour of coaching (phone, Skype or Facetime). They also have ongoing support throughout the month via email and the newsletter (additional online coaching can be booked in 15min increments). A client pays both the monthly fee for all of the options in #2, plus an additional fee to replace the online coaching with in person coaching – either 1 private session or 2 semi-private sessions. So which one, if any, would be the right one for you? While the first option is the most cost-effective, its limitations mean that it is best for people with a long history of experience. You’ll be required to not only recognize your limitations (both daily and weekly), but you’ll also need to have a good idea about how to modify the session to fit your current status. Further, since there is no one to check your form on exercises (unless you happen to have a friend that is a properly certified coach, specifically with the movements involved in the program), you have no way of knowing if you’re performing them in a way that allows for a maximized return on effort. The second option is probably the ideal one for most people, striking the balance of individualized programming/coaching with the both cost and accessibility. You will still need experience with the gym – the amount of coaching available simply isn’t enough to learn a new skill properly – but assuming the sessions are focused on improving a learned fundamental rather than starting from scratch this is a great choice. 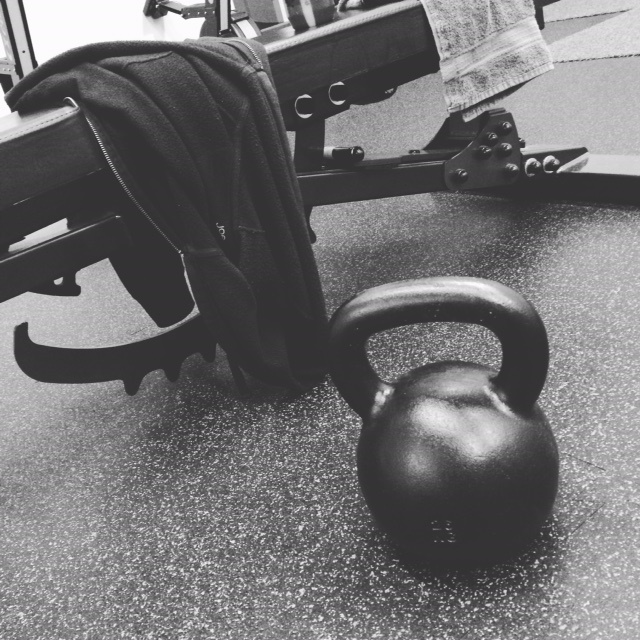 Finally, if you are local and can’t commit either the time or the cost (or both) to a weekly or bi-weekly training session, then the third option will be your best bet. You can use the 1-2 in-person sessions to check and refine form, which may allow for faster progress since the immediacy allows for hands-on and real-time coaching. If you think any of the above options would work for you, please feel free to contact me directly (guy@tnstrength.com) and we can explore the options in greater detail. While not everyone either has time, nor enjoys, doing a training session before a golf game, I like doing a light workout prior to most physical activities - just enough to get the blood flowing, raise the heart rate and generally get my mind and body working in sync. What follows is a session that would take roughly thirty minutes to run through, top to bottom. Goal is to "mobilize" and "activate" the body from top to bottom, raise the heart rate a little, and all without fatiguing yourself prior to the round. For all of the exercises keep the load (number of reps and weight) light, and give yourself an adequate amount of rest between exercises and rounds. I've listed a general repetition range for each exercise, as well as an approximate rest time, but all of these things may be modified based on your own individual feel, both for the day and in general. This is not an intensive workout, but the exercises should still be learned from a qualified and experienced coach before being implemented - in particular the kettlebell swings. Of course (and this is important), as with everything you read online keep in mind that what follows is for demonstration purposes only - it doesn't constitute or replace proper medical advice or training instruction. Before beginning any exercise or fitness program, confirm with your doctor that you are physically capable of doing so. This is a hot topic in training these days. There seems to be little consensus between experts, experience and research as to when and how it should be done. I like to do it for no more than five minutes, hitting some of the spots that generally need to loosen up before a game - specifically, my hips (glutes, hip flexors) and upper back (thoracic spine). I have found that a quick, light to moderate pressure for about 10-15 passes pretty much takes care of things. Don't spend more than this on it, and don't grind and mash on one spot for an extended period. Keep these movements brisk, and work within the range of motion that your body gives you - hopefully that increases a bit with each repetition/round. Go through this circuit 2x, or until 10mins has passed. Perform this circuit 3-4x through, or until the 15mins is complete. Keep the rest minimal between exercises, and 60-90secs between sets.